We hit FIFTY posts! 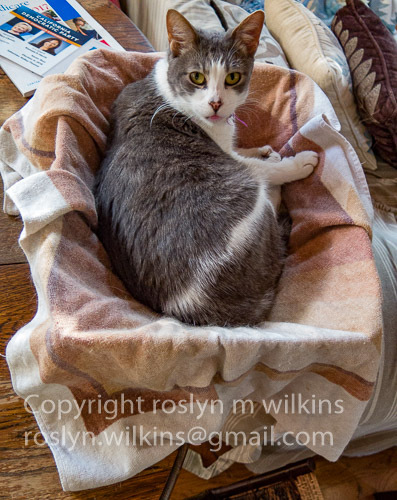 The Feline Friday blog post doesn’t appear every Friday… we wouldn’t want it to be something you take for granted… we want you to crave it a little!!! 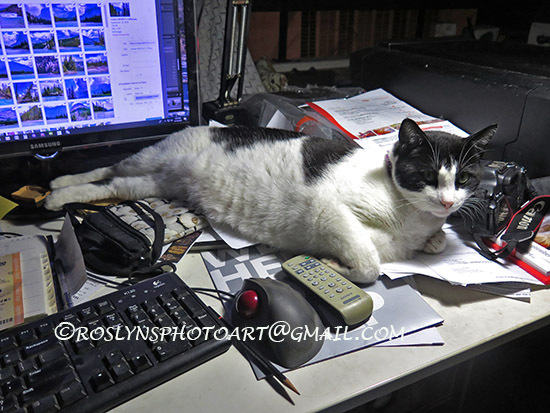 Feline Friday officially started November 28, 2014 as my 200th post on this blog. However, there was a pre-Feline Friday post that gave me the idea. 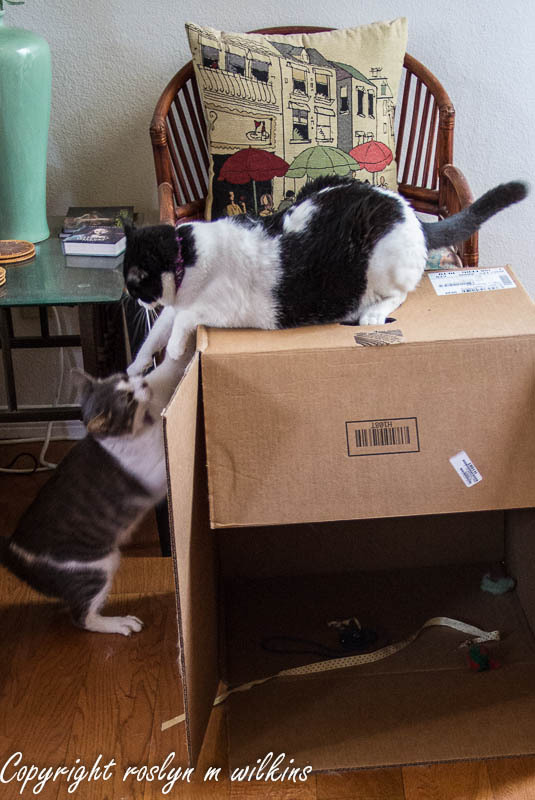 The story for this post is about boxes. It’s no secret that cats love ’em. The box at the top of this post arrived today from Amazon. I took out the content of the box to put it away. As soon as I turned my back I heard a rustling noise… I turned back around and there was Frankie already in the box! Will this be his new favorite? For the past couple of months he has practically lived in another box. I placed it on my downstairs work table before recycling it. But Frankie immediately took it over. Every time I tried to recycle it I found Frankie fast asleep in it. 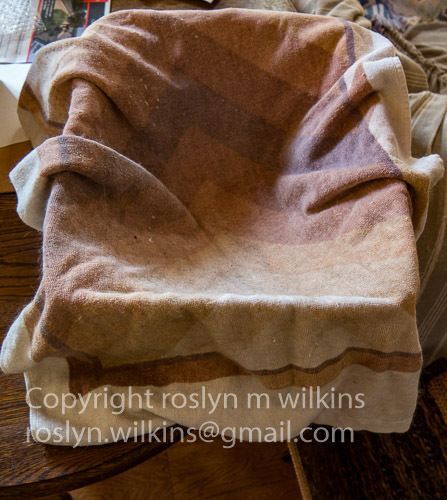 So I gave up (as one usually does when it is human vs feline) and draped an old towel over it to make it more comfy. Today it seemed as though he might be moving on to a new favorite box. But no worries, an hour later I went downstairs and Frankie was curled up in the old box. So I’m going to recycle the new box right away while it is unoccupied. I haven’t posted anything non-feline related on this blog for a while. I’ve been busy on my other blog One Good Life Travels posting photos from my recent trip to Montana and Wyoming. Come on over and visit! 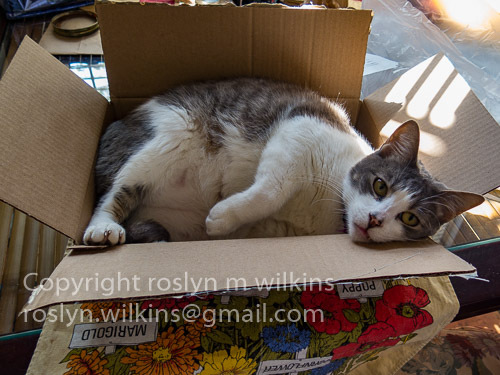 Categories: Animals, Cats, felines, Pets, Photography | Tags: boxes, Feline Friday, Frankie | Permalink. It’s no secret that cats are obsessed with boxes of all sizes and kinds. 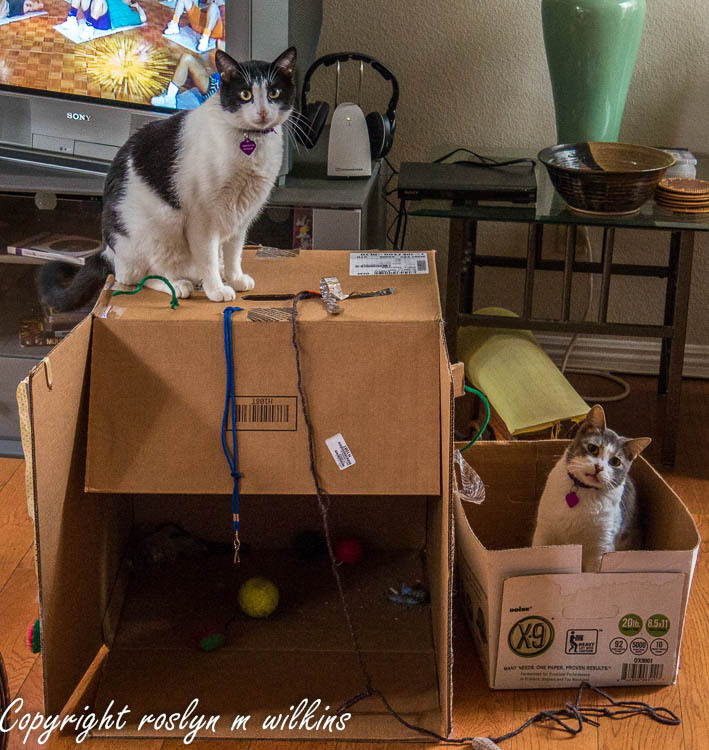 In my Feline Friday #24 post I talked about the playhouse I had made out of the computer box. Last week I bought a wet vac for my deck. I left the box in the living room in case I needed it. Of course, Frankie immediately took possession. Nothing new there. The next morning I came downstairs and “somebody” had turned the box on its side and pushed it over in front of the playhouse. Okay, I can live with that. The morning after that, that same “somebody” (I can only assume) had pushed the smaller box inside the bigger box. Now Freddie, being much bigger than Frankie, doesn’t really fit in there too well. So it has become Frankie’s private apartment. But Freddie is quite happy to maintain his position on the roof. So all is well! 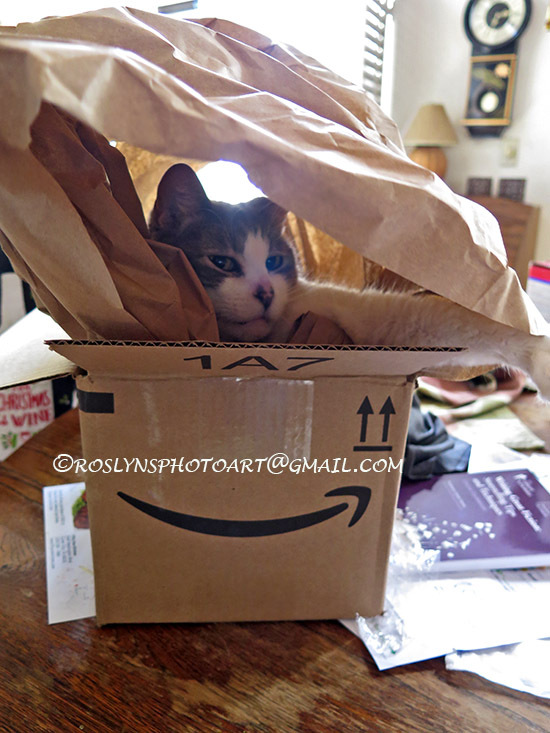 Categories: Animals, Cats, felines, Pets, Photography | Tags: boxes, Feline Friday, Frankie, Freddie | Permalink. 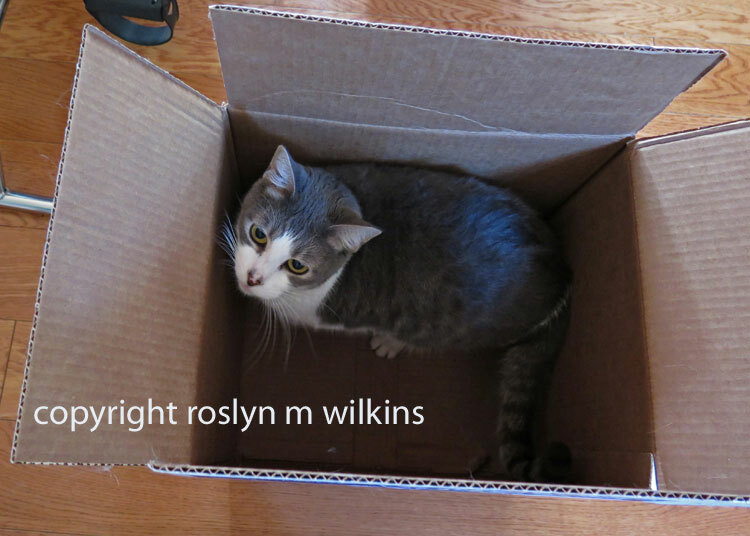 This is an update to Feline Friday – #22 – a good excuse where I described how this box was still in my living room after six months. I decided it was such a fixture it had become part of the furniture. So I added a few adornments in the way of pipe cleaners, shoe laces and other doo-dads. 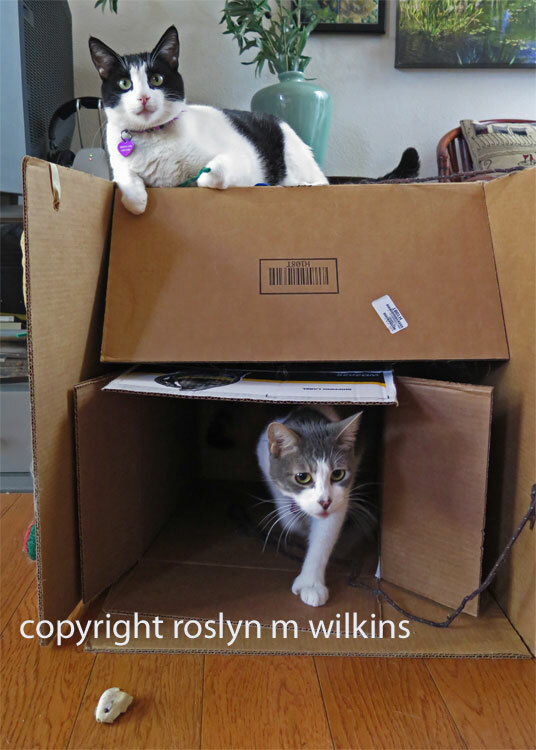 The smaller box I brought downstairs to take out to the garage when Frankie hopped in and curled up, so I made that part of the complex. You have no idea how difficult it is to get two cats to look at the camera simultaneously! You may wonder what that leg is doing sticking out of the side of Freddie’s head. I was in the middle of a Richard Simmons aerobics DVD when the perfect photo op occurred so I stopped in mid sit up and grabbed the camera. As soon as I pop a Richard Simmons DVD in the TV both cats come running. They seem to love the sound of his voice! And are probably amused at the sight of their uncoordinated human clomping around the living room! Categories: Animals, Cats, Exercise, Pets, Photography | Tags: aerobics, boxes, DVD, Feline Friday, Frankie, Freddie, Richard Simmons | Permalink. My new desktop computer arrived in January in a very nice box. Right away it was taken over by certain members of the household. I originally wrote about it in this post. 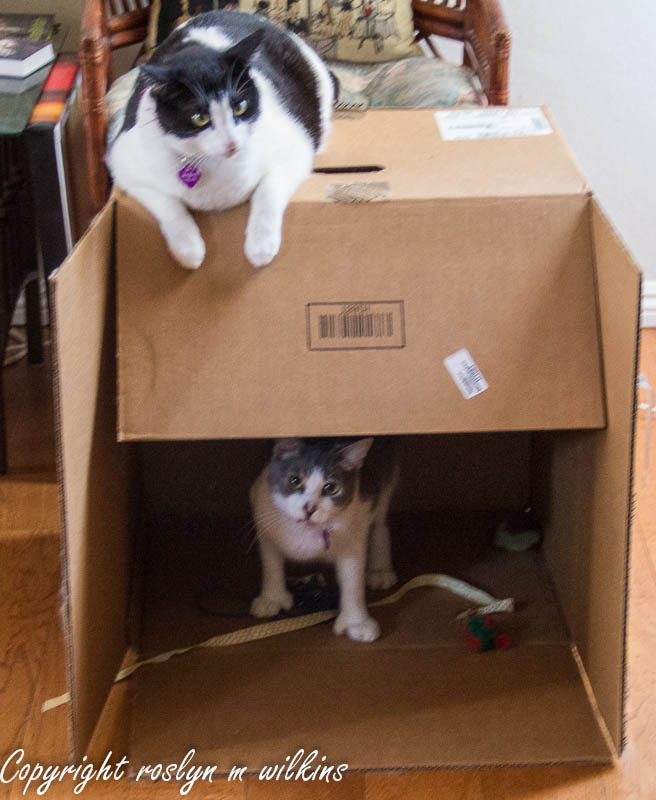 Here we are at the end of June and said box is still in my living room. I want to break it down and recycle it but as you can see, it is still being used for other purposes. Toys are carried in there and pounced on. And the box is just the perfect height for getting the drop on an opponent. So the box remains and I have to make excuses when anybody comes to visit. Oh, I just got a new computer and haven’t had time to put it out for recycling yet! Categories: Animals, Cats, Pets, Photography | Tags: boxes, Feline Friday, Frankie, Freddie | Permalink.